Working with Pratt Guys is almost as fun as spending time in your dream backyard! Let's build it together. You’re living the American Dream, now celebrate it! Picture yourself relaxing in the shade of your pergola or celebrating the Fourth of July in your custom outdoor kitchen. Whatever vision you have for your ideal backyard, the Pratt Guys Design Team is ready to listen. Contact us now to set up a meeting with one of our Backyard Consultants, to get the ball rolling on your project. After your consult, we do our best to present you with an approximate project price within a couple days. From there we’ll follow up with you to custom-tailor the project to your budget and iron out the details. 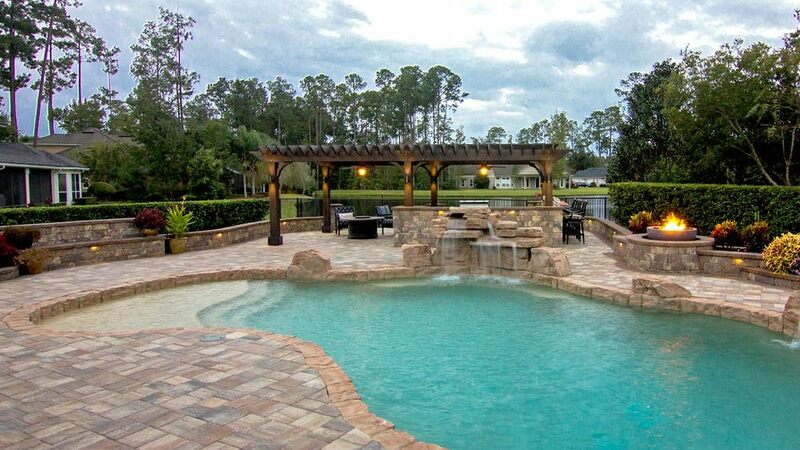 Need help visualizing what your backyard will look like once it’s complete? No problem! Our Design Team can provide you with life-like renderings and digital fly-through animations. Once we’ve agreed on the vision, your work is done. We’ll take care of the rest and keep you posted on project progress from start to finish so there’s never any surprises. All you need to worry about is planning your first backyard BBQ! We don’t shop your project out to the lowest bidding contractor, we get in there and build it ourselves. Our leadership team alone has a combined 27 years of experience in construction management and our Maker Team is the best around when it comes to making Dream Backyards a reality. When we do work with outside vendors, we only use Pratt Guys Approved Vendors and manage them as well, so you only have to deal with us. You’re going to #EnjoyEarth in your Pratt Guys backyard for a long time and we’ll be right there with you for the long haul. Everything we build is backed by The Pratt Promise™ and no job is complete until we personally inspect, signs off, and stamp it with our seal of approval. We’ll follow up with you to make sure you love your new backyard as much as we loved building it and stand ready to address any questions, concerns, or issues that come up. We can even help you outfit your backyard with furniture, grilling and party supplies, lighting, and more from the leading brands so you can fire up the grill and get the party started at a moment’s notice. Here at Pratt Guys, we promise to treat you like family. We promise to treat your dreams as our own. We promise to use only the highest quality materials and to source them as locally and ethically as we possibly can. When it comes time to build your backyard, we promise to put every ounce of our being into doing it right, never sacrificing the integrity of your vision and our work to take shortcuts. No matter how small your project may be, we promise to give it the same level of respect, care, and attention as we do with the largest of them. When it’s all said and done, we promise that the work we’ve done for you will allow you to #EnjoyEarth from your own backyard for years to come. If you ever have an issue, we promise to respond, quickly and completely. Most importantly, we promise you will have fun working with Pratt Guys! Whether we are sourcing a new outdoor kitchen appliance, a raw materials supplier, or an outdoor construction partner, we only work with companies that pass our rigorous quality control and customer service standards. We look for companies that have both strong brand recognition through consistent and reputable online reviews, and friendly, yet effective customer service standards that meet or exceed our own. We make it a point to establish a personal connection with each supplier to determine if their values and commitment to quality uphold The Pratt Guys Promise. It’s only then that we make the decision to carry their product, purchase their materials, or work with them on one of our projects.